Edel graduated from Huddersfield University in 2006 with a Bachelor of Science in Physiotherapy. She started her career in the UK National Health Service (NHS) in Oxford and then moved to Yorkshire in 2007 where she completed a comprehensive set of junior and senior rotations at the Mid Yorkshire NHS Trust. 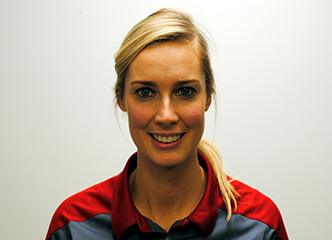 Here, Edel enjoyed accelerated promotion and in 2011 she started her role as a Clinical Specialist Physiotherapist. This position involved working closely with senior Orthopaedic Consultants specialising in the shoulder and elbow and allowed her to develop extended scope skills in the management and treatment of complex cases. She completed her Master studies in Advancing Manipulative Physiotherapy at Sheffield Hallam University and has succeeded in becoming a member of the UK Musculoskeletal Association of Chartered Physiotherapists (MACP). MACP membership recognises an elite level of knowledge and practical skills within the musculoskeletal field. She is also a member of the British Elbow and Shoulder Society and the European Elbow and Shoulder Society for Rehabilitation. She has lectured on the assessment and treatment of the shoulder to Physiotherapists, Doctors and Consultants in Yorkshire and has represented physiotherapy discipline at Yorkshire shoulder meetings. Edel has undergone extensive postgraduate training in all major areas of musculoskeletal physiotherapy including manual therapy, acupuncture, neurodynamics, movement impairments and motor control programmes. Edel enjoys treating all areas of musculoskeletal physiotherapy and has a specialist interest in the shoulder. Alongside her clinical work, Edel has spent over 5 years working in private practice. She has worked with Huddersfield Town Academy Football Club, Huddersfield Rugby Union Football Club and with professional swimmers and tennis players.